a magician can make to any party, whether it's relaxed family retirement parties, a wedding anniversary, a birthday party or works Christmas party. Carl Buck is one of the UK's few professional party magicians, and can perform strolling close up magic to small groups of guests at a time, or move from table to table to suit your needs. And as a member of the world famous Magic Circle in London your guests are guaranteed to be entertained! 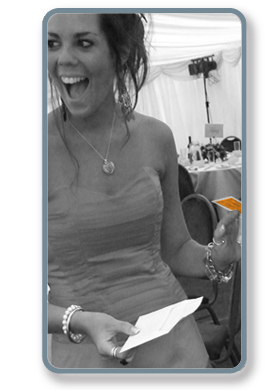 are left amazed, ensuring they remember your event for years to come! in just about any environment, making it the ideal entertainment for any party. Contact Carl Buck today, to discuss how hiring a close up magician can really make your party unique. Carl is available as a magician to hire in Leicester, Birmingham, Stoke, throughout the midlands and across the UK, for parties and anniversaries.